Are you using Geekvape Aegis versonI? 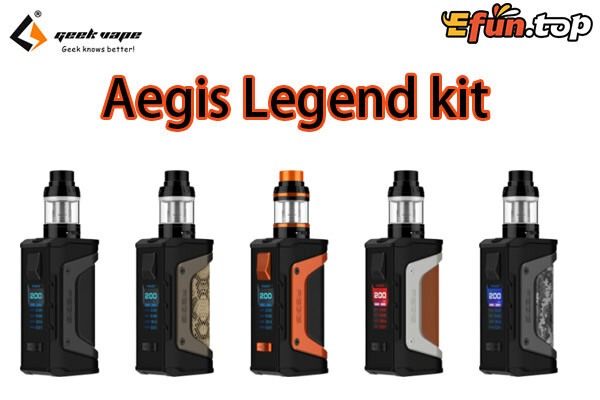 You are out!Geekvape Aegis Legend Kit the updated version Strong struck,Win all vape Kit. 1.Aegis structure is constructed with up to six different materials to achieve extreme portability and durability, making it one of the most complex box mod in industry. 2.Aegis chip has the top accuracy and stability on both power mode and TC mod. 3.IP67 water resistant & dust resistant, great for outdoor activities. batteries powered by the new AS chipset that releases up to 200W output. This is a second to none choice for those who are looking for a durable box mod with extreme power and portability.